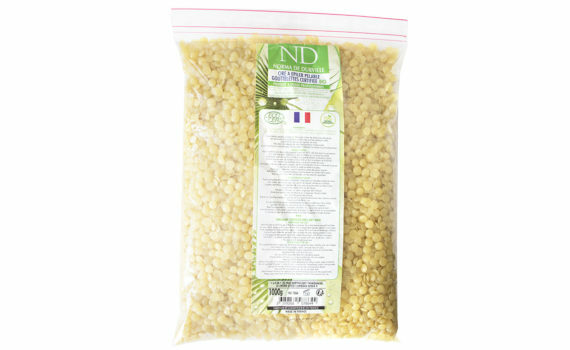 This Ecocert certified organic peel-off wax is made of natural pine rosin. Its application can be compared to traditional waxing. It is the most natural waxing method to attract environmently friendly addicts. Heat the wax to 55°C to get a thick honey texture. Do a heat test on yourself and then on your client. Apply a thin layer of wax with a disposable wooden spatula on the area to be depilated by making thicker edges all around the strip to avoid breakage and any traces of wax. After ten seconds, remove softly the strip staying parallel to skin in the opposite hair growth direction. Renew the process until all hairs are gone.